Update: Since publishing, US markets and the euro have started to weaken.Original post: As we announced on Friday, the Greek crisis is over. In the long-term the maths still looks very daunting, but in the meantime, the governments of rich Europe have given enough assurance that Greek won’t go under, that the banks in those countries feel fine bidding on Greek debt. The rollover is going to happen. 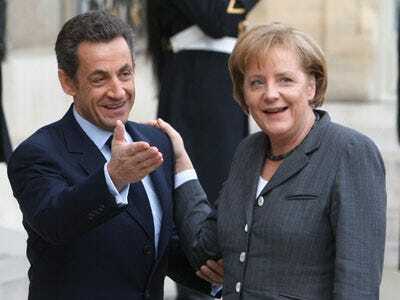 The latest is positive comments come from French leader Nicolas Sarkozy, who pledged his country’s support. All around the world, global markets moved up nicely overnight, and S&P futures are heading higher. Now, when we get a chance, let’s talk about Spain.